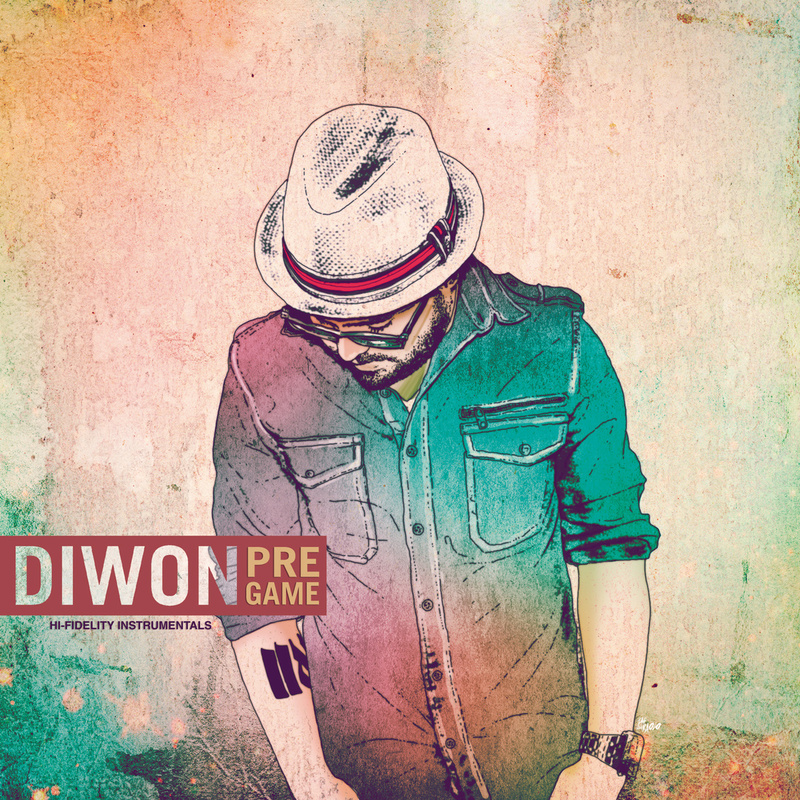 DIWON’s “PRE-GAME” ALL INSTRUMENTAL ALBUM IS OUT NOW! Before Diwon’s debut record “New Game”, there were the beats and pieces that brought his singles and full album to life. “Pre-Game” is a collection of never before heard instrumentals as Diwon shines a spotlight where his heart really lies, he is a true-school hip-hop head. DJ Booth called Diwon a “beatmaking buzzsmith,” and with the release of his instrumental album “Pre-Game” he keeps the focus on just that taking you into his world of instrumental madness. The instrumentals are a breakneck journey through the strange loops of his unique artistic process, the instrumentals are variously built from funky-drummer style percussion or bass-heavy West Coast production, laced with everything from crunchy psychedelic guitars to Middle Eastern melisma. It’s the producer as auteur, every track taking you through the emotional space of the artist, like Kanye or Godard. People talk about hip-hop going “post-regional,” but the Diwon’s instrumentals are post-national. New York kicks and snares meet Turkish melisma against funky basslines and live guitars. This is the music you wish you heard on airplanes. “Pre-Game” sets the stage for Diwon’s future production. Who can say what that will sound like? It’s a big world, and Diwon is global. ALBUM REVIEW: “There has been a wave of great new producers coming up because of the power of fans, and the internet. Composers have the ability to reach to many with just a beat, and the digital age is only growing. We have to say when talking about a independent up-coming producers, Diwon is a name that must be mentioned in a catalog of other greats. With old school producers like J Dilla, to new school beat makers like Flying Lotus, we can compare him to some of the best in the game, but we feel like Diwon has the sound that is making a name and following of it’s own. His debut instrumental album “Pre-Game” sets the bar for producers across the globe.